The G4 Alliance and the US Section of the International College of Surgeons (ICS) have launched a new registry to connect medical volunteers to international medical missions. IntraHealth International developed the SOTA Registry (which stands for surgical, obstetric, trauma, and anesthesia) using our open source iHRIS software. The SOTA Registry will serve as a hub for information on clinical volunteers from the surgical, obstetric, trauma, and anesthesia communities who are interested in short-term assignments in low- and middle-income countries. IntraHealth maintains the registry in a cloud-based environment as a service to ICS. ICS works to promote and participate in the global exchange of surgical knowledge and techniques, in part by cultivating friendships with surgeons around the world. 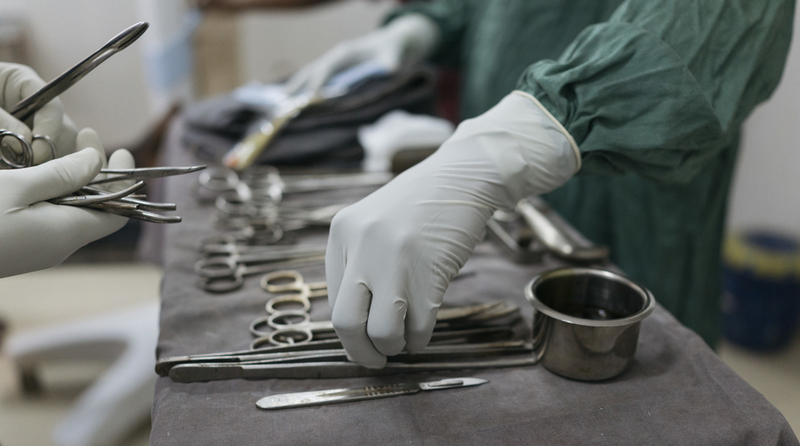 The organization supports international medical missions that provide essential surgeries to those in need while developing the skills and professional networks of local health professionals. ICS teamed up with IntraHealth to develop the registry with its iHRIS health workforce information suite of software. IntraHealth first began developing iHRIS in 2005, with support from the US Agency for International Development, to provide low- and middle-income countries with sustainable, cost-effective tools to collect and analyze data on their health workforces. iHRIS is built on a flexible framework that allows ministries of health, professional councils, health service delivery organizations, and others to adapt applications for a wide variety of uses. More than 24 countries are now using iHRIS to maintain data and inform their health sector planning and decision-making. IntraHealth has adapted iHRIS to create similar registries for maintaining community health worker records in Uganda and Tajikistan. Are you a surgeon or anesthesiologist and interested in a future volunteer assignment? Get started on the Volunteer page of the registry or contact ICS for more information. Is your organization interested in developing health workforce registries? Let’s work together. Contact IntraHealth’s digital health team at digitalhealth@intrahealth.org. The SOTA Registry, which is available at www.sotaregistry.org, is supported by a grant from the G4 Alliance, sponsored by the Henry Family Advised Fund. IntraHealth International’s mission is to improve the performance of health workers and strengthen the systems in which they work. The mission of the International College of Surgeons is to foster worldwide surgical excellence through education, training, fellowship, and humanitarian efforts. The Global Alliance for Surgical, Obstetric, Trauma and Anaesthesia Care (G4 Alliance) is committed to advocating for the neglected surgical patient and is driven by a mission to provide a collective voice for increased access to safe, essential, and timely surgical, obstetric, trauma, and anesthesia care as part of universal health coverage.